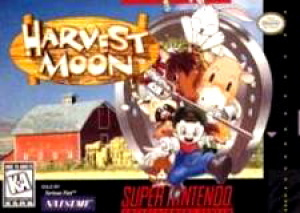 Harvest Moon, a role-playing game based around the noble profession of farming, was one of the later Super NES releases when it arrived in 1997. If you are not familiar with this series, stay with us — it's not as bad or as boring as it sounds on paper This is basically The Sims on a farm. So, if you're a fan of simulation and RPG elements, this is definitely worth a look on Virtual Console. You start out as a young boy who has been left in charge of his grandparents’ farm. In just over two years you must rid the farm of weeds, rocks and stumps to turn it into a beautiful, blooming, money making business. But that's not all. You've also got to get married, have some kids and upgrade your house. At the end of the game you get a score for your efforts. Your farm is beaten up and ugly before you get the chance to make it beautiful. To the cynic this might sound like a boring goal, but give it a chance and you'll discover a game that's both relaxing and extremely addictive. Each day you run to town to buy vegetables, plow the fields from 6am until 8pm and then start over again in the morning. After some time you can start harvesting small, mediocre veggies to sell, and with perseverance you might even find yourself with a little spare time to romance some of the town's lovely ladies. Harvest Moon takes a few notes from the stalker handbook when it comes to relationships, though: you win their hearts by poking around their houses and reading their diaries. Once you've charmed your woman of choice and made her fall in love with you, you can buy a blue feather to propose to her. If you are lucky and she accepts, you will get better meals at home and have babies to secure the future of your little homestead. 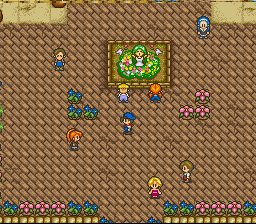 Working through the seasons planting goods, going to festivals and getting married in search of a cool ending; to some Harvest Moon will sound pointless, but it’s a game that is greater than the sum of its parts and very addictive once you get started. 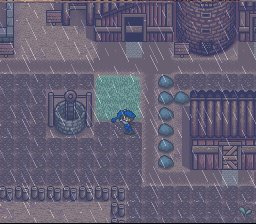 This is a shining example of the RPG genre and at the time of release it was unique and original. With all the secrets in this game there is lots of scope for replayability, so there's plenty of value for money here: even more so when you consider that an unboxed cartridge of this game sells on eBay for around £30 / $60 due to its rarity. I've been debating for a LONG time if I should get this. lol. The updated rating helped a bit. But if they release a Harvest Moon game on WiiWare, I'd be kinda upset. I dunno... Can anyone be of assistance? If you like querky, leftfield type games i'd recommend pokemon snap. Thats a lot of fun! Though it does have a very limited lifespan. It is a good game, but I find it impossible to play longer than 10 days without getting bored. I really couldn't get into this after playing Back to Nature and Friends of Mineral Town so much. Just feels too basic.. I got bored after about 2 hours. Wow this game looks so cool! I'm gonna get it the next time I buy Wii points! Everybody should like this game because it's ace.